Ten years and a river of bitter tears and lost fortunes later, the site was sold by Ulster Bank and Rabobank for an estimated €170 million to Chartered Land, headed by Joe O’Reilly, developer of Dundrum Town Centre, and backed by Abu Dhabi Investment Authority. Work began on the Berkeley Court side of the site in early 2016, and this week sees the official launch of Lansdowne Place, a scheme of 215 luxury apartments across five pavilion-style seven- and eight-storey blocks. It’s the first scheme in Ireland conceived and executed to a template of exclusivity usually associated with headline cities like London and New York. A temporary 604sq m (6,500sq ft) marketing suite has been purpose built at a cost of several million euro with the sole purpose of immersing prospective buyers in the Lansdowne Place “experience”. The emphasis here is on luxury living (and for now an escape from the chaos of the enormous and very busy building site outside). There are macaroons on offer, a cushion-filled sofa from which to view the promotional video, and you’d need a personal trainer to help tote the slickly produced brochure bumph about. But then nothing sells like prestige. 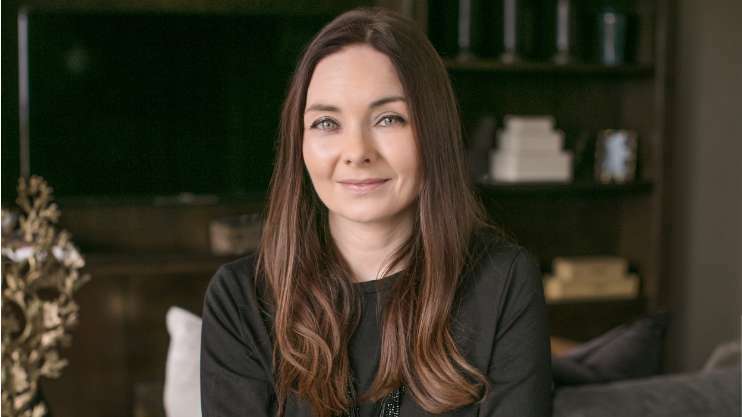 Today may be the official launch, but units here have been selling for months, and joint agents Sherry FitzGerald and Savills say they have already sold 29 apartments, with a further 28 on offer in this first sales phase. The majority of remaining units in the O’Mahoney Pike-designed scheme are two beds ranging in size from around 1,000sq ft to 1,647sq ft and start in price from around €900,000. 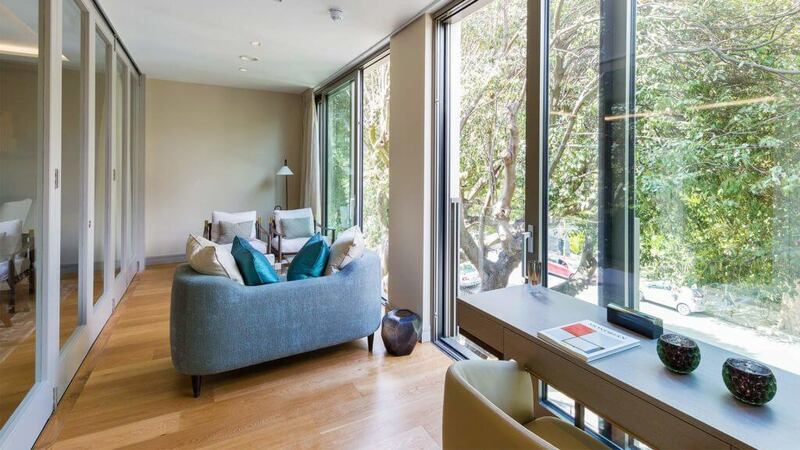 In addition, two three-beds of 1,910sq ft are seeking €2.15 million each, while two one-beds are €825,000 apiece. 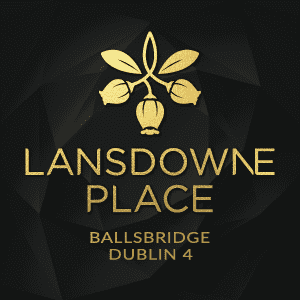 Due for completion mid-2018, Lansdowne Place adopts an approach that sells not so much an apartment as a lifestyle via its Lansdowne Residents’ Club, a shared leisure facility and 24-hour concierge service. 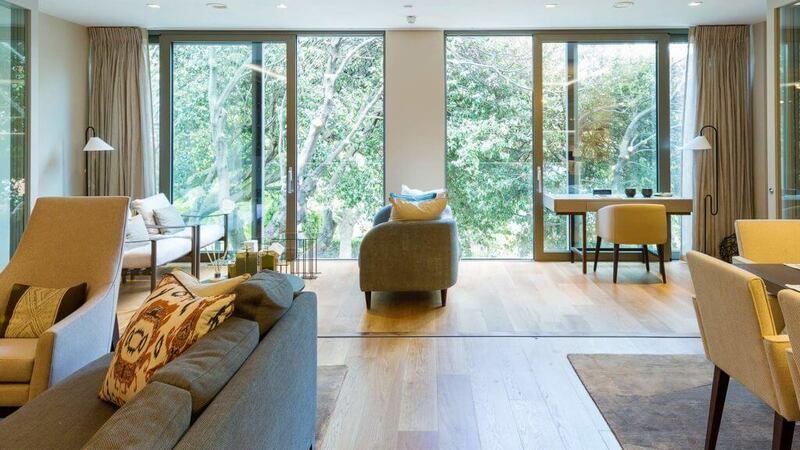 Here residents and their guests can use a lounge, library, meeting room, cinema room and hospitality spaces, while a lower floor comprises a gym, sauna, steam room and treatment rooms. The concierge service is covered in an annual charge of around €5,000 depending on the apartment size, while the additional services such as personal trainer, beautician, catering etc will be charged separately. 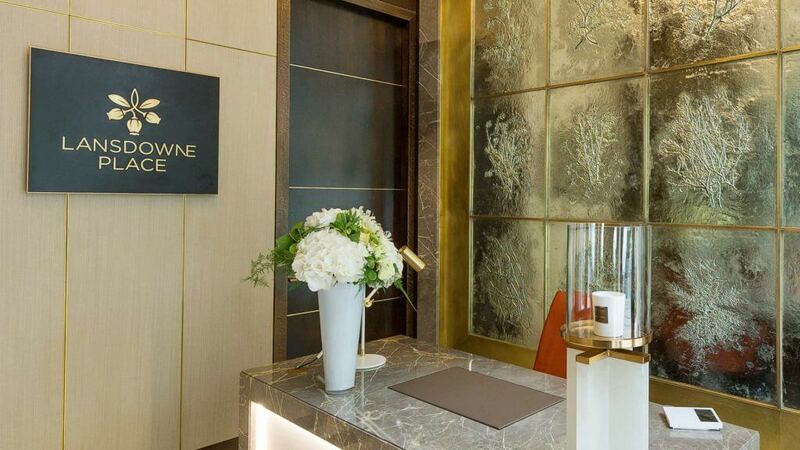 The entrance to the marketing suite has been styled to emulate the look and feel of the residents’ club when complete. A striking glazed wall of panels by sculptor Peter McGuire depicts plants that recall the site’s botanic history. This theme runs throughout Lansdowne Place. The site’s legacy as home for decades to two of Dublin’s most vibrant hotels appears to have been consigned to history (even though Jury’s continues to operate next door as the Ballsbridge Hotel), and instead the developers have revived a more refined era when Trinity College’s botanic gardens were located here on the corner of Shelbourne and Lansdowne Roads behind the original Richard Turner railings. A surviving strawberry tree has been taken for the scheme’s motif, and each of the buildings is named after a leading Irish botanist from that era. Landscaped gardens designed by Bernard Seymour will feature a number of original specimen trees recalling this botanic history. 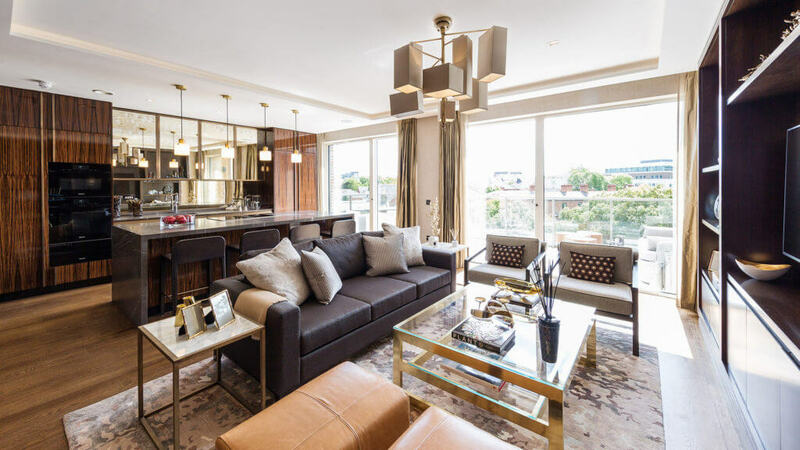 The apartments themselves are grand in scale and design, with London-based interiors specialist Goddard Littlefair completing the décor for the showrooms and residents’ club. 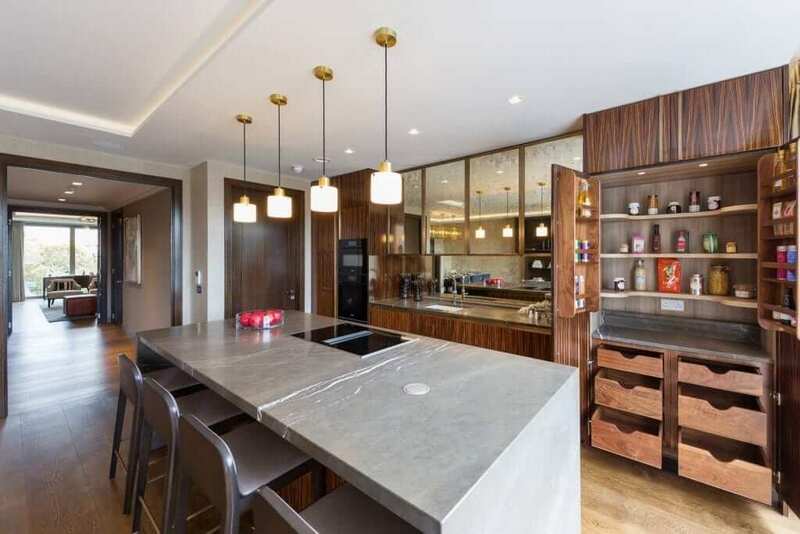 Natural glass, timber and stone materials and subdued lighting create an elegant Art Deco effect throughout. The rooms are all well proportioned and bright with generous ceiling and door heights, vast floor to ceiling windows, and bespoke kitchens and wardrobes beautifully handmade by O’Connors in Drumleck, Co Louth. A clever design feature has seen an outdoor terrace originally planned for many of the two-beds reincorporated as a thermally sealed and roofed space. Accessed via accordion doors, this additional sunroom with sliding curtain wall windows adds up to 200sq ft of floor space when open, and creates a discrete area when closed. 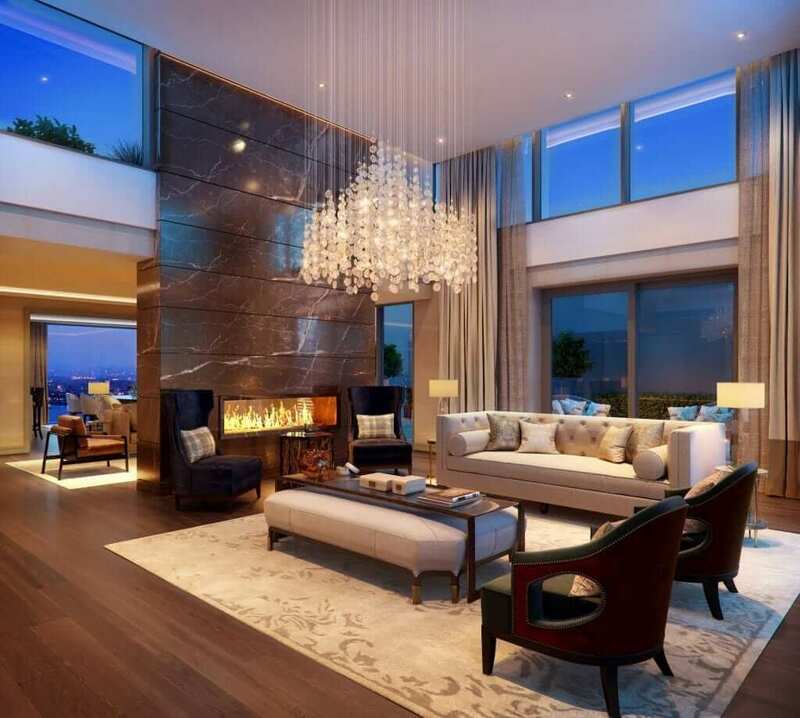 The penthouses vary greatly in size and type, with options for two- and three-beds plus study with a choice of open terraces. 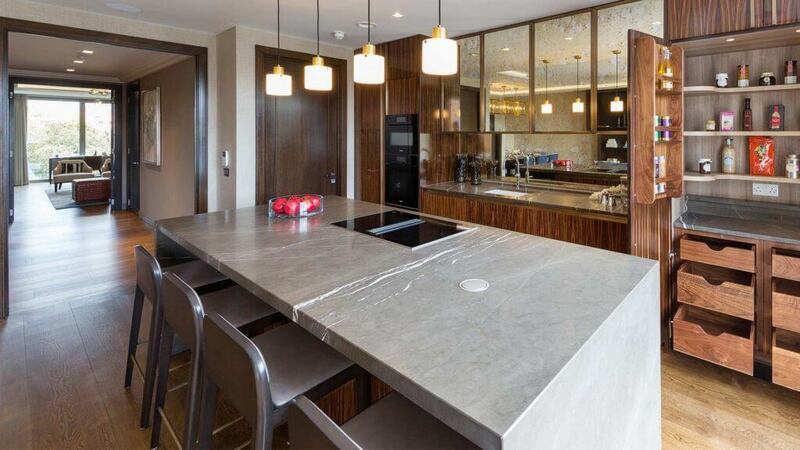 The attention to detail and finishes are as you would expect for the price, with smart appliances included in every kitchen. 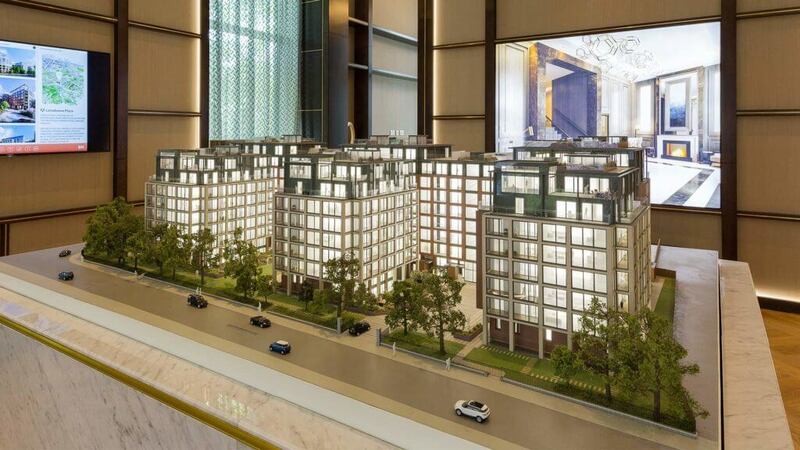 Then there are a number of “super-penthouses” each with a minimum of around 310sq m (3,340sq ft) of internal accommodation, triple-aspect open-plan living, kitchen and dining rooms, and outdoor terraces extending upwards from 100sq m (1,087sq ft). Stephen Vernon of Green Property was one of the first purchasers for a sum understood to be upwards of €5million. The first residents at Lansdowne Place are scheduled to move in mid-2018 and the entire development will be completed by the end of 2019. At that point it is anticipated that work on the Jury’s side of the site will begin where another scheme of around 200 apartments, a hotel and retail units are planned. It would seem the local consternation that greeted Dunne’s original vision for this site has been replaced instead by a queue of buyers from the locale and the south Dublin area keen to downsize to Lansdowne Place from larger townhouses. The selling agents, Simon Ensor of Sherry FitzGerald and David Browne of Savills, add that there is also strong interest from Irish ex-pats seeking a base in Dublin, with a view to something more permanent if they eventually plan to return.